Humansdorp, South Africa — In these complex times, the supply of primary foodstuffs such as dairy products is subject to increasingly close scrutiny. To stay in business profitably in the dairy industry means the consistent provision of quality products and unswerving compliance with ISO standards. Humansdorp’s Woodlands Dairy is well up to the challenge. 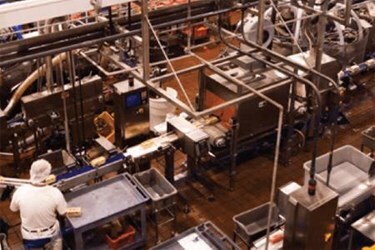 Woodlands Dairy bought a second-hand powder plant from Denmark but whose control system was outdated and not suitable for the modifications required to adapt the process to Woodlands Dairy’s specifications. This started a chain of events that would not only require a production monitoring and control system for the powder plant but that would also prompt the company to consider how this expansion could be integrated with the rest of the site.